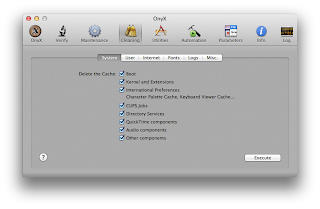 Increase Mac speed by optimizing Mac: Can Onyx optimize my Mac properly? Everybody like to work with Mac because it is one of the most advanced operating system in the world. So, many people never consider regular maintenance for their Macs, they believe “Mac doesn't need any maintenance”. Here I am going to share my experience in this post “if you do maintenance of your Mac, you can keep your Mac in tip top shape”. I and one of my friends were working on Mac. Our final exam was about to over and we had to submit final project. Our Mac was freezed and we were unable to work on project. It was very critical situation for us. 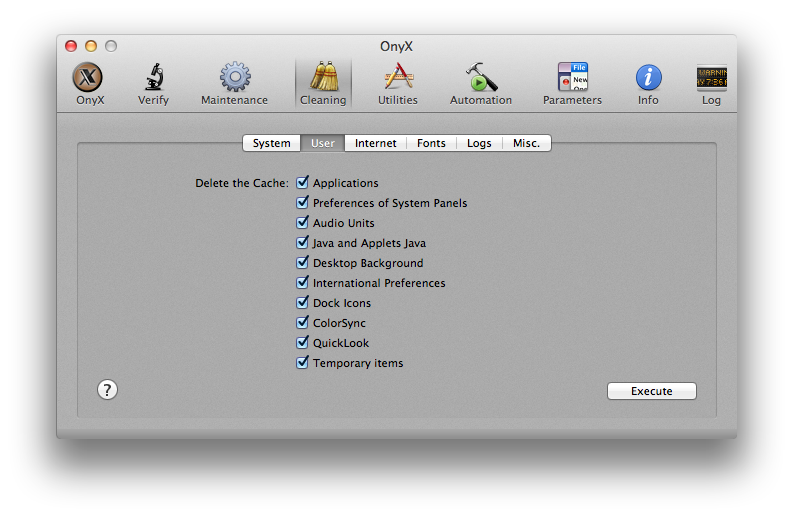 Finally we were suggested by one of our college seniors to use Onyx software and scan whole Mac and we did it. Thank God, our project was subimitted successfully due to Onyx tool. Our Mac was cleaned by this tool and got back to it's previous speed so that we could easily work on project. What is the benefit of using Onyx? S.M.A.R.T. 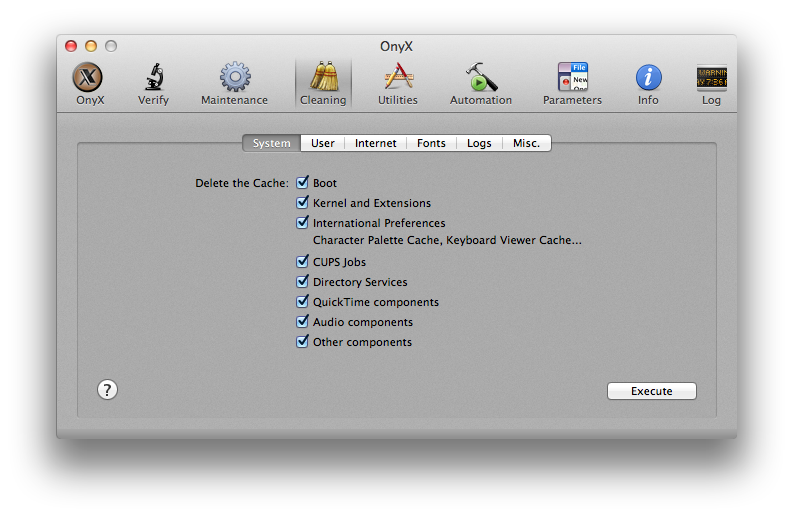 Status:- After installation OnyX will verify the S.M.A.R.T. status and Startup Volume. Choose a Tab / Feature:- It has these tools- Verify, Maintenance, Cleaning, Utilities, Automation, Parameters etc. All of these cache items take up valuable drive space; so, when you cleaned these items, you get back some of this disk space. Similarly the internet tab helps to remove browser-specific items from your Mac without having to open your web browser. The fonts tab will let you remove the following items from the Fonts Cache: System and Users Font Cache, Adobe Systems Font Cache etc.. 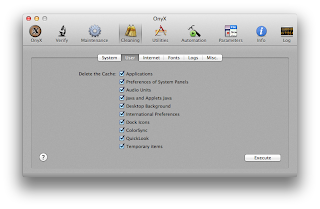 Using the features of Onyx, you can keep your Mac speedy and optimized.